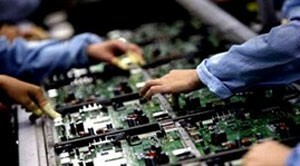 (VEN ) - A report of the 2015 annual general meeting of shareholders of the Van Dien Fused Magnesium Phosphate Fertilizer Joint Stock Company (VADFCO) showed that from 2010-2014, the company exceeded most of the targets set by the general assembly of company shareholders with its revenue and after-tax profits respectively growing an average 11.7 percent and 12.4 percent per year. The general assembly of company shareholders expects VADFCO would earn higher revenue and profits in 2015 and build new fertilizer plants to promote its sustainable growth. 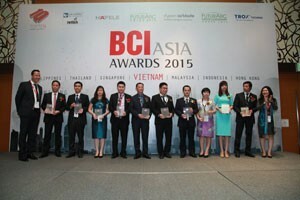 (VEN) - BCI Asia recently named Vietnam’s 10 most-active architecture firms and property developers who received the BCI Asia Top 10 Awards at the annual BCI Asia Awards ceremony held recently in Ho Chi Minh City. (VEN) - Prudential Vietnam’s financial report showed that in 2014, the company earned total revenue of more than VND13.05 trillion, a rise of 18.6 percent compared with 2013. These results continued to strengthen Prudential’s position as a leading life insurance business in Vietnam for 11 consecutive years. 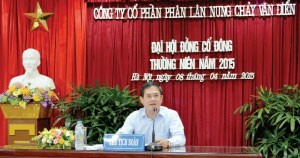 The business results of Prudential Vietnam in 2014 also showed the company’s sustainable and most effective development among life insurance companies in Vietnam. 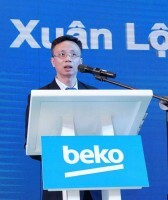 In 2014, the company’s pretax profit reached VND1.29 trillion and undistributed profit reached a record level of over VND3.65 trillion by the year’s end. Japan External Trade Organization (JETRO) has issued a list of the 150 outstanding Vietnamese enterprises with an aim of promoting exports of Vietnamese products to the Japanese market. 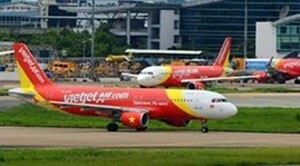 Low-cost airline Vietjet Air on May 20 launched their biggest-ever promotional campaign, offering 3 million tickets at a discounted price for flights until the end of 2016. 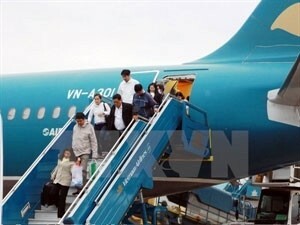 Codeshare flights between the national flag carrier Vietnam Airlines (VNA) and the low-cost carrier Jetstar Pacic (JPA) will become operational from May 21, it was announced on May 19. 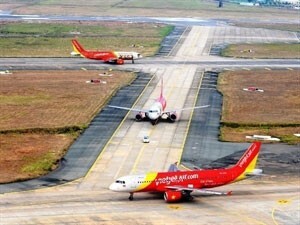 Vietjet Air will increase the number of flights between Ho Chi Minh City and Taipei (China) from five to seven round trips per week starting on June 18, 2015. (VEN) - Emirates Airline, a global connector of people and places and one of the largest international airlines, is inviting candidates in Vietnam to apply online www.emirates.com/careers to join its Cabin Crew team. 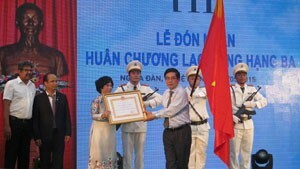 The India-based Asia Book of Records organization has recognized the dairy farm of Vietnamese milk producer TH True Milk as the biggest hi-tech cow raising facility in Asia, with a certificate granted during a recent ceremony at the firm’s headquarters in central Vietnam.